Laurentius Petri Nericius (1499 – 27 October 1573) was a Swedish clergyman and the first Evangelical Lutheran Archbishop of Sweden. He and his brother Olaus Petri are, together with the King Gustav Vasa, regarded as the main Lutheran reformers of Sweden. They are commemorated by the Evangelical Lutheran Church in America on April 19. Laurentius was born Lars Persson in Örebro, Närke. Laurentius studied in Germany in 1520, possibly together with his brother. Here they took influence from Lutheranism, among other things they met with Martin Luther himself. On returning home to Stockholm, they got stranded and nearly lost their lives as the boat went ashore on the island Gotland. They both survived however, and settled on the island, and Laurentius became headmaster at a school while Olaus became assistant to a priest. Not so long after, Olaus travelled with the priest to Stockholm and the crowning of King Gustav Vasa. Subsequently, he managed to get on friendly terms with the King, and soon moved to Stockholm where he worked in the vicinity of the King. At the Uppsala Council 1531, the Swedish King Gustav Vasa took the final step of breaking with the Roman Catholic Church, by personally appointing Laurentius as the new archbishop. On September 22 that year, Laurentius was consecrated archbishop by the Petrus Magni, Bishop of Västerås. 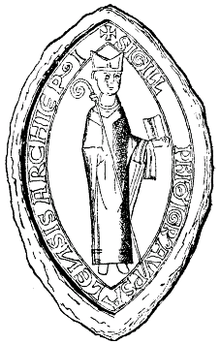 Magni is said to have been ordained bishop in Rome, although this point is disputed, and by consecrating Laurentius the apostolical succession is said to be retained in Sweden, which was considered important. But although the consecration took place according to Catholic ritual, those who officiated at the consecration made a secret declaration that they were acting under pressure. Later that year Laurentius married Elisabeth Didriksdotter, a daughter of the King's cousin becoming the first Swedish archbishop to be married. His brother Olaus had already become the first priest to marry in 1525. The king forbade Laurentius to interfere with the reformation plans. Laurentius wisely defended the autonomy of the Church against the various ideas of Gustav, such as his wish to abolish all bishops, while still steady advancing and promoting the ideas of the reformation texts within Sweden. His main contribution were his abundant writings which laid the foundation for the Swedish Church Ordinance established at the Uppsala Council 1571. He was archbishop for 42 years, unparalleled in Sweden, and during his time he was often in conflicts with the monarchs. In 1539 his brother Olaus was sentenced to death by the King over some arguments, and Laurentius was among those forced to sign the death sentence. It has been disputed whether Laurentius was doing this because of a weak character or if he thought it better to formally obey so that he could continue to spread the reformation ideas. Olaus did eventually get pardoned in 1542, much due to his influential friends, but he was forced to keep a low profile, leaving the role of main reformator solely to Laurentius. Gustav I of Sweden entrusted Laurentius Petri to head the delegation who negotiated the Treaty of Novgorod (1557), which ended the Russo-Swedish War (1554–1557). The first complete Swedish translation of the Bible was published in 1541, nicknamed the Vasa Bible after the King. 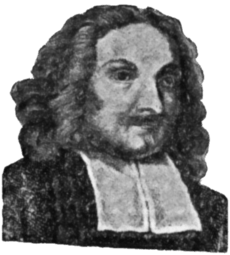 Laurentius was one of the main proponents supervising the project, together with his brother Olaus and the clergyman Laurentius Andreae. In the 1560s, when the ideas of Calvin gained in influence, Laurentius published several texts where he spoke for Lutheranism. It has been suggested that it was the first time the Swedish Church defined its Lutheran character. ↑ G.R. Elton (ed. ), The New Cambridge Modern History, Volume II, Second Edition, page 160. ↑ Heininen, Simo; Heikkilä, Markku (2002). Kirchengeschichte Finnlands (in German). Vandenhoeck & Ruprecht. p. 70. ISBN 3-525-55444-3.